Two-year-old Colin McGrath was killed on July 25 at the intersection of L and East 6th streets in a chain reaction crash that also injured his 4-year-old sister. 2-year-old boy Colin McGrath was killed and his 4-year-old sister injured when a minivan plowed into a stroller in South Boston on July 25. City and state leaders, as well as neighbors, have called for new safety measures at the intersection of L and East 6th streets. Since 2016, there have been more than 50 car accidents along L Street. Wednesday's crash happened at intersection of L and East 6th streets. 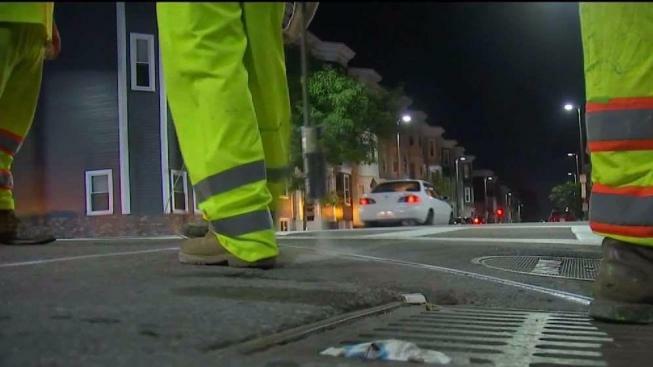 Safety is being enhanced at one of South Boston's busiest intersections nearly two weeks after a little boy was killed when a minivan went up onto the sidewalk and plowed into a stroller. Since then, neighbors and city and state leaders, including Senator Nick Collins, have called for new safety measures at the busy intersection often used as a shortcut to avoid highway traffic. Now, changes are finally coming. Sunday evening, crews from the city's transportation department started painting yield lines to help drivers see pedestrian cross walks. Warning lights and parking restrictions will also be added. And even though authorities have ruled out speed as a factor in the fatal crash, electronic radar signs have already been installed. "When I was mayor, I had police officers out here stopping speeders all the time," former Boston mayor Raymond Flynn said. 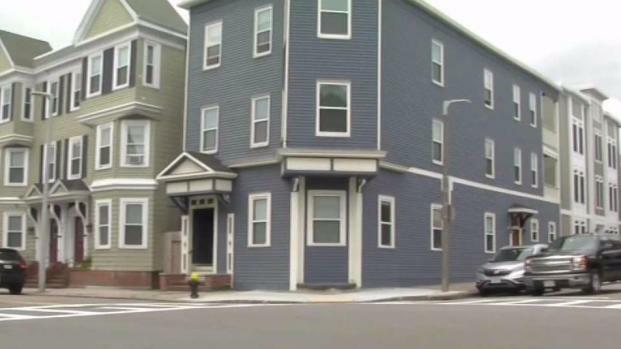 He hopes these changes will finally make a difference in his South Boston neighborhood. "Colin is going to save the lives of hundreds of other little kids in the future," Flynn said. "It's a tribute to him and his family." Neighbors have maintained the makeshift memorial at the intersection, including candles, photos, and other momentos remembering the life of McGrath. The city will also be making similar safety upgrades at two other nearby intersections. A lawmaker says the state and city should be doing more to address traffic safety concerns following the death of a 3-year-old boy in South Boston.